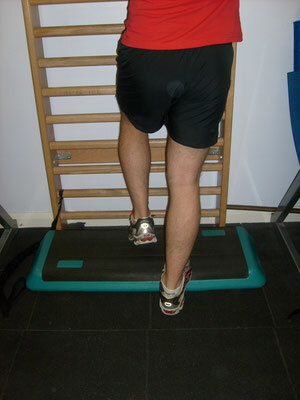 Over the last 18 months I have been working with a lot of middle distance and long distance runners. A lot of these athletes train between 10 - 14 sessions a week means that they cover quite a few miles per week in order to get the results they want. Everyone knows that running puts a lot of force and strain through the legs in particular. Tight and sore hamstrings, gluteus, quadriceps and calves are a common complaint for a lot of runners, which is not surprising considering all the ground work they do. Tight calves are present in a lot of people with Achilles problems which is what I wanted to talk about today. The Achillies tendon is a common injury site for a lot of runners. 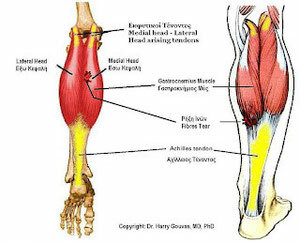 Most people know where the Achilles tendon is as it is easily identified just above the heel bone. The Achilles tendon is attached onto the heel bone and runs up to the biggest muscle group in the back of the calves; the Gastrocnemius. Because the Achilles tendon is a continuation of the calf muscles it allows you to transfer power from the calf muscles to our ankle and foot. The Achilles tendon is active in pretty much any movement we do and it is for a reason the strongest single tendon in our body. 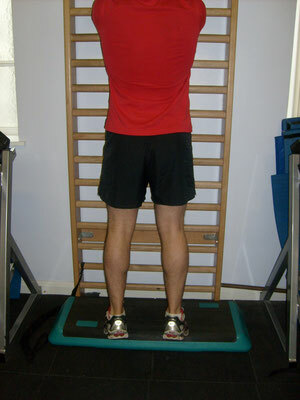 Tendinitis: Means that there is inflammation present! Tendinosis: Means degeneration without inflammation! With any overuse injury it is the accumulation of smaller tears and wear down of the tissue that causes problems. In a lot of the “tendon diagnosis” there are a discussion whether there actually is inflammation present, hence why a lot of people keep mixing the terms. In a lot of cases there may not be any signs of inflammation present (swelling, redness), but the athlete can still have a degeneration of the tendon which causes pain. The annoying and sometimes very frustrating thing about tendon injuries in general is that they have poor blood supply which means they can take a long time to heal. There are several things that can be done in terms of conservative treatment such as ultrasound, sports massage to calves, friction massage to the tendon and probably one of the most important things; eccentric calf loading program. Eccentric loading means a lengthening of the calf muscles and tendon, I have attached some pictures underneath to show you what eccentric loading is in practise. A 12- week program of eccentric calf loading 3x 12 repetitions 7 days a week can be a starting point for this type of training. I have added some references towards the end of this post if you want to read some more about this. The main thing to remember when doing this exercise is that you only lower down with your painful ankle and push yourself back up with the opposite leg! Although there are some (although maybe not a lot) research and promising results on this type of training, it is definitely worth a try! I have had a lot of good results with a combination of the above conservative treatments with several of my clients. Remember with any injury; seek professional help and advice prior to starting any treatment or intervention! Only a few more days left now until I head off to Katowice to look after the Norwegian Ultrateam Squad, should be great!